Attention: This product is a Diablo 3 Key for Battle.net, so you must enter this cd key in your Battle.net account to activate the download of Diablo 3 and start playing from anywhere in the world. From Gocdkeys, you will be able to buy Diablo 3 at the best possible price thanks to our comparison of prices in online stores, and in digital format, so you will not have to move from home. The list shows from lowest to highest the best offers and prices for Diablo 3 with the possible discounts for our users. Diablo 3 is an RPG of the American company Blizzard in which our heroes will confront legions of demons and armies of all kinds of bugs and creatures coming out of the hell in defense of the human world. For this task, defending the human race from total annihilation, our hero will count on an extensive amount of skills and weapons of all kinds. The game consists of five chapters, including the recent expansion, which in addition to adding one more chapter to the story, also adds huge amounts of equipment and material that exponentially increase the title's gameplay. How many classes can we choose? In Diablo 3 we have a huge amount of characters and heroes, in addition each of them has a huge amount of skills, weapons and own equipment with which we can create "Builds" of all kinds to adapt that character to our style of game. On the one hand, we have the all-powerful Barbarian, able to break in two any enemies with huge weapons ranging from mallets and axes to two hands to swords and small clubs, combined with their brute force skills will wreak havoc on the enemy. On the other hand, we also have the magician class capable of performing powerful and devastating spells using the elements: Fire, Ice, Electricity, Earth and Sacred. This class can deploy unparalleled power in a short time, reducing to ashes the legions of monsters and demons. Another class is the Crusader, armed with a mace and shield is able to summon mystical energies that protect him and create ghostly weapons, such as the spinning deck, which will protect and harm any enemy approaching. We also have other classes not as iconic as the previous, but just as powerful and destructive as the monk class, the witch doctor, the demon hunter, and soon we will also have the new class Nicromant, able to use the dead to increase the ranks of their personal army and to use spells of bones and blood to damage their enemies. What differentiates each of the classes? All classes available in Daiblo 3 have their own peculiarities, as well as their own abilities and unique weaponry, but they are all equipped to deal with the threats that we will find in this great Blizzard game. The advantage of this game is that each class can be customized to play in a certain way, with combinations of skills and equipment known as "Builds" and that will enhance certain aspects of each class. For example, the Crusader has a "Build" capable of focus and increase all the damage of a specific skill, as is the hammer. A powerful ability with which you can surround yourself with small hammers and will orbit around him, wreaking havoc on nearby enemies. If we increase this ability with the specific set of equipment and a series of extra abilities that enhance it, we will get our crusader to be able to create enormous maces around him causing brutal damage to any enemy within 25m. So by increasing with a certain team each skill we can increase exponentially the damage and effects of this creating a unique style of play. The last point described is the secret of Diablo 3, at least in our opinion, since we will be able to create a unique style of game to exterminate the legions of demons, multiplied by the available classes and by the amount of abilities of each Class, the possibilities multiply exponentially. In addition to the theme of the "Builds" where lies the fun is in the eagerness to get all the legendary and epic equipment, which is no small thing. We can assure you that if you want to get all the legendary pieces, all the mythical weapons or all the sets you will spend endless hours playing. In addition the game is constantly updated, periodically receives new elements, additions, new forms of gameplay, new equipment and sets for each class, so within a few weeks the amount of material and content contained in the game is shaped Exponential, which gives way to infinite possibilities of play. This is another strength of the game as we can create legions, enlist friends and people from all over the world, and tour the most difficult dungeons or chapters of Diablo 3 in search of the best team and the challenges difficult to overcome, Which will give us succulent rewards. 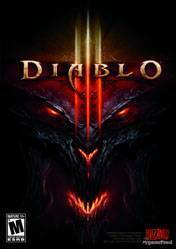 Should I buy Diablo 3? If you love fantasy games, you love sword and witchcraft titles, you shudder to see legions of demons traverse the Earth forming powerful and unstoppable armies, if you get excited thinking that you are the only hero capable of stopping this massacre, ... And of course, if you are one of those people who think that every Blizzard game is a masterpiece, then this game will delight you. The first thing you need is an account in Blizzard and download your download manager, known as Battle.net from where you will manage all the games you have from this company as well as the automatic updates that are being released. Once you have downloaded this manager, you will have to buy the cd key of Diablo 3 in any of the stores that we expose next. Once purchased you will receive in your email a serial or code that you must enter in your Battle.net account, specifically in the section "Add game" Once added that code will begin downloading the title in your download manager and you will see the progress Until finally it is completely downloaded. All the stores that we show in Gocdkeys have been checked by our team and by our users. Anyway, if you have a problem with a store, like it takes a long time to send you the game key or something like that, you can contact us from our contact section and we will mediate for you with the store to make haste In delivering the purchased product. Remember that you can read the opinions of our users in each store from the "+ info about" button where you will find experience and ratings with each store. Muy buen juego, me gusto mucho con solo jugar la start edition.